The “Rap Saved Me” rapper is spotted on Friday afternoon while he was walking towards Peter Marco Jewelers on Rodeo Drive. When he is asked if he is ready to be a father, the rapper replies that he is already a father of 3. When asked if he is excited about the possibility, he quickly answers the age of his kids — 2, 2 and 8 so there is no possibility of adding the brood anytime soon. 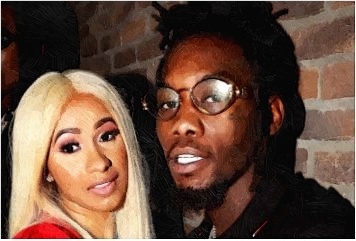 Meanwhile, Offset and Cardi are both in Los Angeles for NBA All-Star Weekend, where the celebrity couple is expected to perform together. Are Jennifer Aniston And Justin Theroux Separating?